**Track use only** Cast magnesium center with heat treated spun aluminum rim sections. Non-dropcenter 15" wheel. 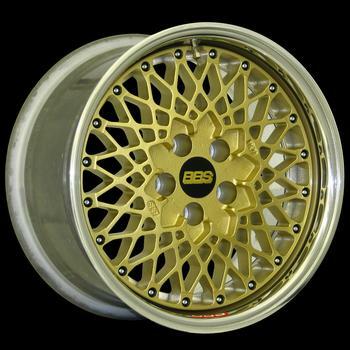 Finish: Gold center with polished outer rim section.